Download our 2018 Global Off-Grid Solar Market Trends Report here. 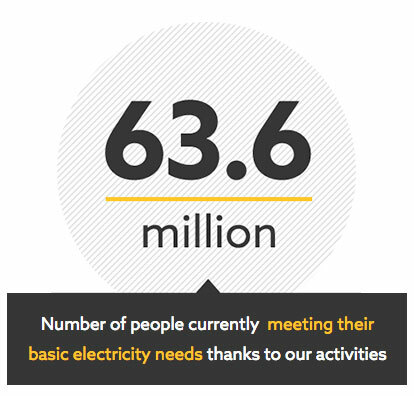 Lighting Global is the World Bank Group’s platform to support sustainable growth of the international off-grid solar market as a means of rapidly increasing energy access to the 1 billion people without grid electricity. The Lighting Global program supports market development by working with private companies to lower first-mover risk and mobilize private sector investment through market intelligence, quality assurance, business support services and consumer education. Data as of June 2018. 'Basic electricity needs’ are defined according to the Multi-Tier Framework (MTF) as providing light for at least 1,000 lumen-hours (lmhr) / day and sufficient energy to keep a well-used mobile phone operational. Data based on semi-annual IFC client company self-reported sales data. 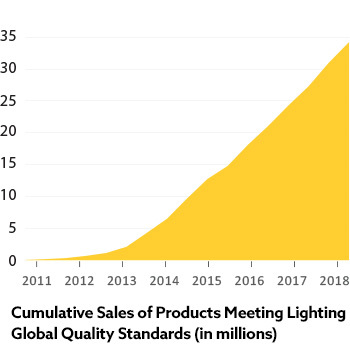 Lighting Global program and its regional affiliate programs – Lighting Africa, Lighting Asia and Lighting Pacific – all work to build sustainable markets capable of bringing high quality, affordable, modern off-grid lighting and energy products to off-grid consumers.